Looking out through the entrance of the Crystal Cave in southern Iceland, I instantly saw it. The way the side of the cave curls out, the smooth blue ice above me, and the craggy snow to the left as the water slowly flows out of the cave -- it was stunning. Looking out, I felt a force of nature in the cave and in where I was. 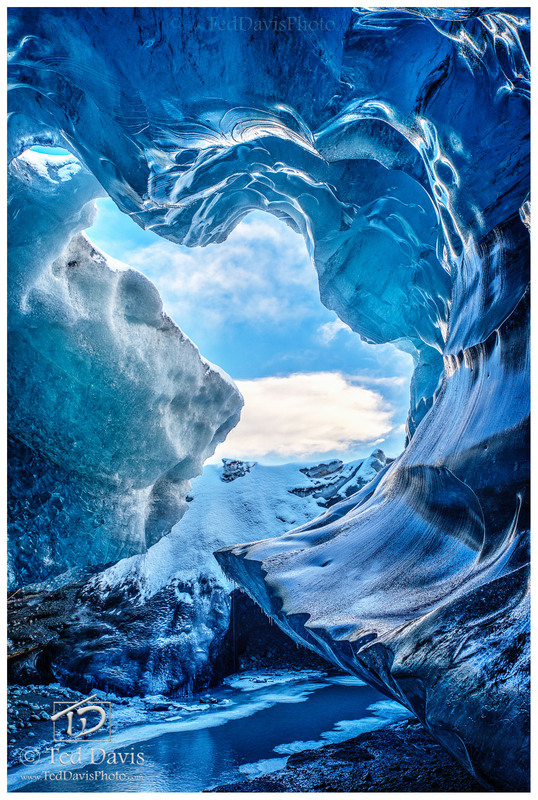 The spectacular beauty of being under the glacier and yet looking out to the sky all spoke to me. Thus, I named this shot "Archeus", the primal force that presides over the growth and continuation of all living beings. Photo © copyright by Ted Davis.